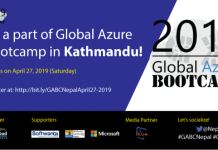 Tech Debates 2019, presented by Locus 2019 and Debate Network Nepal (DNN), is a debate competition being organized as a pre-event of Locus 2019. The aims to bring together debaters from different levels to debate on various topics related to Information Technology in British Parliamentary (BP) Format. 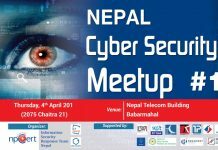 The competition will be held from 3 to 6 February 2019 at IOE, Pulchowk Campus. 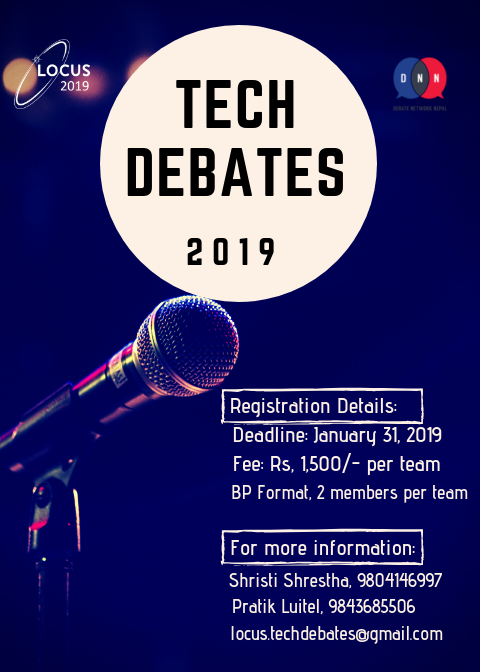 Tech Debates 2019 is here with unusual motions, jaw-dropping rebuttals and heartbreaking POI’s. Register to be a part of one of the most intellectually challenging pre-events of Locus-2019. Chief Adjudicator: Pawan Adhikari, All the debate teams, are requested to confirm their registration by paying the fees. The last deadline of registration fees can be paid up to to 1 February 2019 at IOE, Pulchowk Campus.